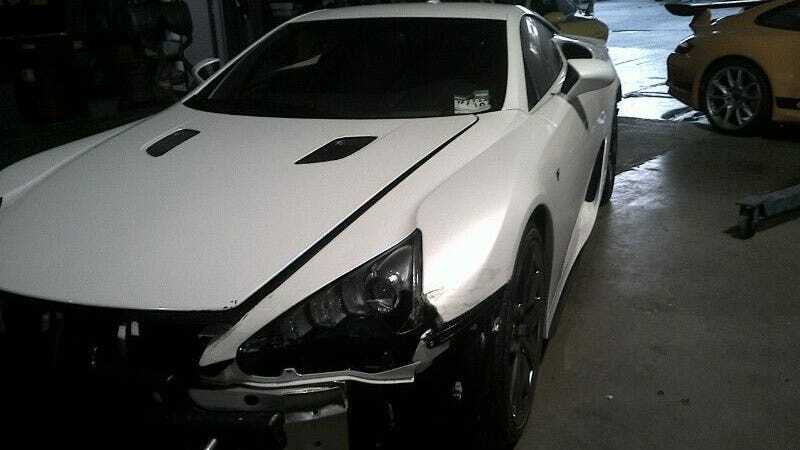 We knew it was only a matter of time before someone crashed a Lexus LFA. The wait is over. This example of the Lexus supercar appears to have torn off the front clip and smashed up the rear. The car was recently sold, and we hope the next owner is a bit more respectful of the LFA's sharp handling and lightning-fast V10. The crash actually happened last October, but Lexus Enthusiast has only now found pictures of the car in a sales posting in Sun Valley, California. Inevitable as a crash was, we still hate to see all that beautiful carbon fiber all crunched up.